In numerous stories about the health issue that’s kept him off of the Bearcats bench this season, head coach Mick Cronin has singled out one player on the Cincinnati roster. 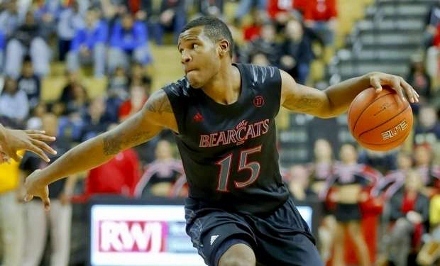 “This is about Jermaine Sanders – he’s our lone senior,” Coach Cronin told Mike DeCourcy of The Sporting News. “That’s the hardest part of this for me. I’m really close to him. Sanders saw that comment and others like it and appreciates Cronin’s thoughtfulness. Jermaine Sanders came to Cincinnati as a high-scoring high school star, earning Player of the Year honors in New York City from the New York Post. 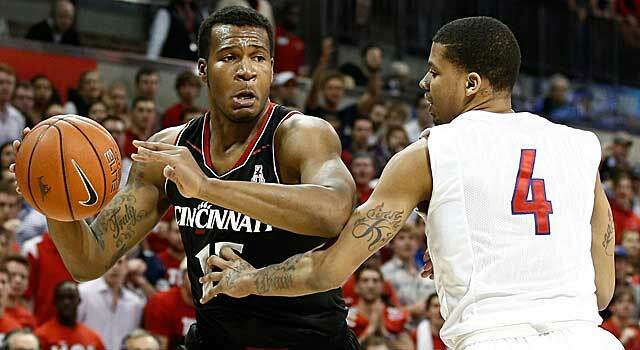 But as a Bearcat, he’s been a classic “glue guy” playing solid defense while being unselfish on offense. “The one thing that you know about Jermaine is that he’s going to do all of the little things that help you win,” said associate head coach Larry Davis. “It was a hard adjustment at first,” said Sanders. “Coming from high school where you’re depended on to score 20 to 30 points a night and then when you get here you try to score when you can but you’re counted on to do things defensively and stuff like that. But everything happens for a reason and there’s nothing wrong with that. I’m not ashamed to say that I was a glue guy while I was here. Sanders is quiet by nature, but as the only remaining senior on the roster, he’s been thrust into a leadership role on an inexperienced team. “Of all of the players on your team, the seniors are always the most determined guys because this is the last time they’re going to be playing in a Cincinnati uniform,” said Davis. One of those younger teammates is Shaq Thomas who thinks so highly of Sanders that he chose Jermaine to be his daughter’s godfather. The same is true for Cronin. “Jermaine Sanders is everything that’s good about college basketball,” Mick told me. “He has been all about the program and he has been a selfless player. And he’s such a good person that I want success for him so badly because of his loyalty to the program. When he plays well I’m so happy. Great Stuff! Thanks for sharing this about Jermaine.